Don't sleep on your stomach or in an awkward position - Granted some nights you have had a few extra drinks, maybe your passed out wherever you ended up- Lying on the couch or sprawled out on your bed on your stomach is not healthy for your neck. If you put your neck in that twisted position for 8 hours (maybe longer), you are putting undue pressure on your neck structures and your head. Furthermore, sleeping on your stomach distorts the pelvis and results in excessive strain on the joints, muscles and nerves of your lower back. Finally, treat sleep as an important part of your day- With proper sleep comes proper rest and healing for your body. Is is worth it for you to take a few extra steps to make sure your body is ready for a good nights sleep? I think so- its better than being in pain all day, not being able to check your blind spot, that's for sure. So get a good neck pillow to start. One solution is to get a good neck pillow for sleeping. 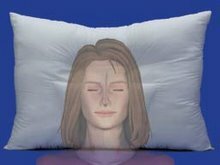 Try to get a pillow with an indentation in the middle (this is where your head will rest). 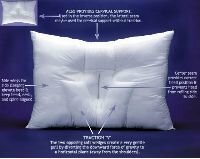 A good cervical support pillow and will put your neck into the proper position for sleeping, on your side or on your back. Then even if you do toss and turn, your neck will not be sore and stiff in the morning. So first things first, get a good cervical support pillow. Check out the cervical traction neck pillow at http://www.arc4life.com/ for a start. Here is great news article about how to choose the right neck pillow for you. Finally, think about doing some neck stretches in the morning. Cervical exercises are good for posture, keeping your neck flexible, and maintaining good range of motion. Part 2: How does Whiplash Occur? 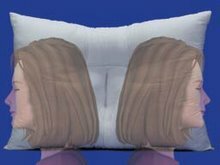 How often should I replace my pillow? How does a TENS Unit work for Pain Relief? Can Whiplash of the Neck cause shoulder pain?